We read in Ephesians 4:16 about how God is building His church: “He makes the whole body fit together perfectly. As each part does its own special work, it helps the other parts grow, so that the whole body is healthy and growing and full of love.”. As we look at this further we discover that the Church that is being built is not made of bricks and mortar, but of people! 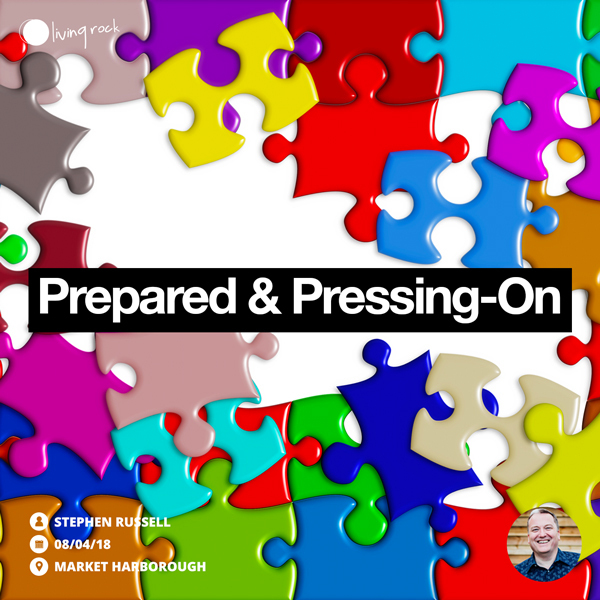 It can be easy to become focussed on physical buildings, but as we develop our understanding of the Church, we see how each person fits in to the whole ‘building’ and how we can make room for each of us to be shaped and cut to size, in order that God’s Church is built according to His plan and purpose. 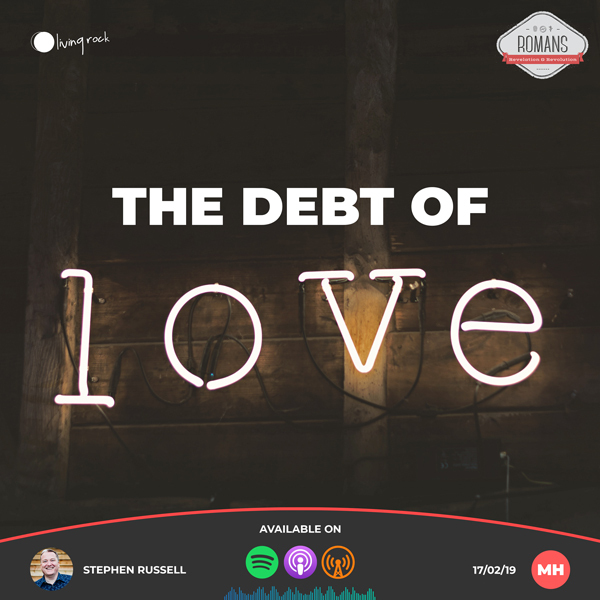 Romans 13:8 tells is about one ‘debt’ that you will always owe and can never pay off – the debt of love to others. As we explore what this means together, we see how we will never be able to reach the point where we can say “now I love others as much as I should”! No matter how much we have grown as a Christian, we still have room to grow in love. As we read through Romans 12, we see what our ’new life’ should look like. Paul encourages us in this chapter that we are no longer bound by sin and death because Christ has been raised up and we sit alongside him in heavenly places. 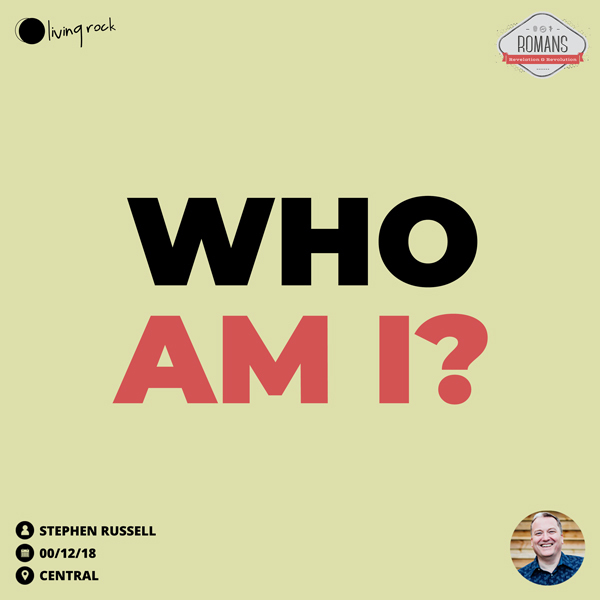 In this message, Stephen unpacks what this means for us and gives us some practical ways that we can enjoy our new life in Christ. Jesus said “I tell you the truth, anyone who believes in me will do the same works I have done, and even greater works, because I am going to be with the Father. Jesus has given a great commission to carry on His work in the world today, equipped by the “same” spirit. 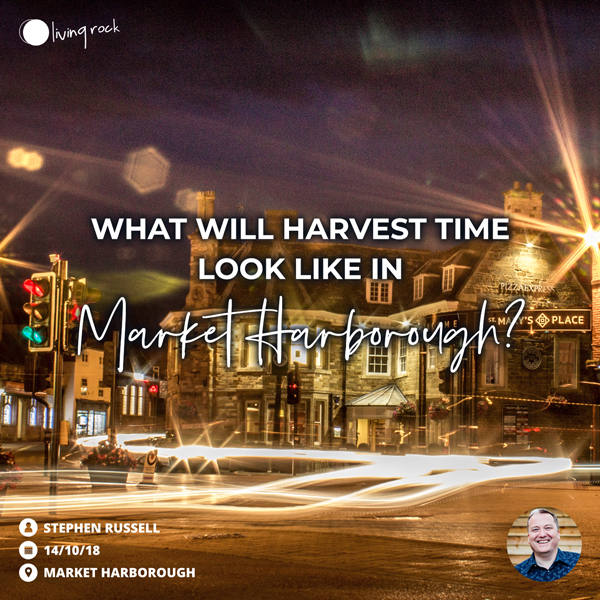 The fields are white for harvest, and we are the labours – therefore go, and bring in the harvest! We can be passionate about lots of different things in our lives, but are we passionate about Jesus and His Kingdom? 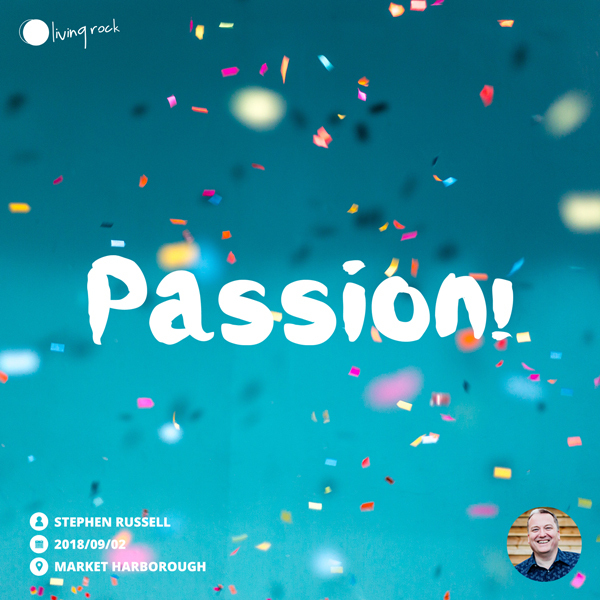 In this message, Stephen encourages us to be those who are consumed by Jesus and know what it means to have a passion for the things of God. Will we be known as those whose passions for God define our lives? 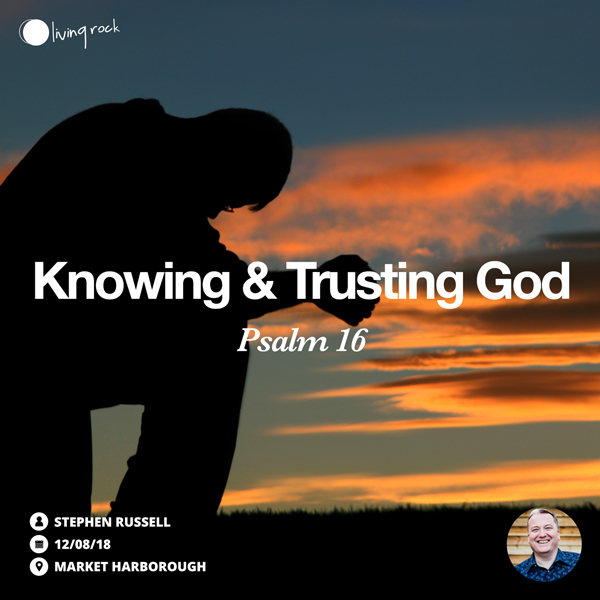 As we continue to look through the Psalms together we focus on Psalm 16 and how we can follow in David’s footsteps as we know and trust in God in our every day lives. 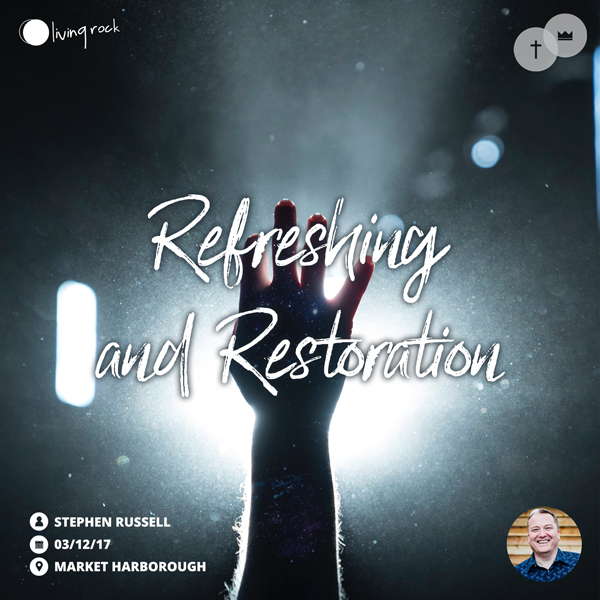 As we look at the first miracle that Jesus performed, turning water into wine at a wedding, we discover how the wedding signifies the reason that the Word became flesh; to rescue us and give us eternal life and right standing with God. 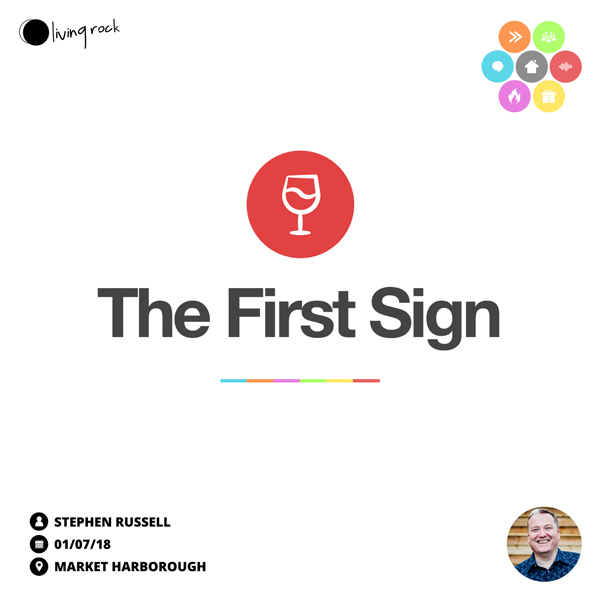 Through this story we see that we are to embrace all that Jesus has for us in His new covenant. 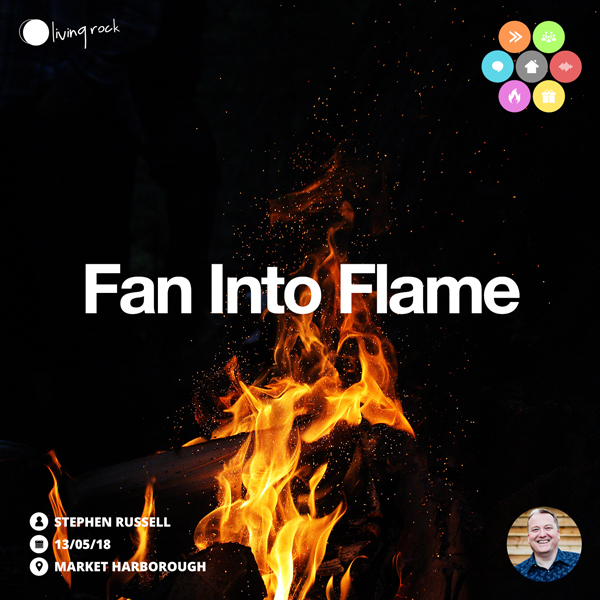 God wants fire in our lives! Not only for ourselves, but so that we can be effective in reaching those around us. Paul encourages Timothy to “fan into flames the spiritual gift God gave you when I laid my hands on you.” We are called to yield to the total control of the Holy Spirit, so every emotion, thought and act is under His direction. That kind of complete spiritual control is for our benefit and in-line with God’s will. We read in 1 Corinthians 12 that when the church meets together, one will sing, another will teach, another will tell some special revelation God has given, one will speak in tongues, and another will interpret what is said. Everything that is done is to strengthen the body. Spiritual gifts are for every born-again believer; no one is missed out! When we share, verbally, with singing, shouting, and testimony, we strengthen the body, and one another. When we worship “extravagantly” we encourage others to do also, we encourage our children, we help others. It is the first thing we can all do to encourage and strengthen the body. We all need to be those that prepare to share; not be prepared to share but “Prepare to Share”. 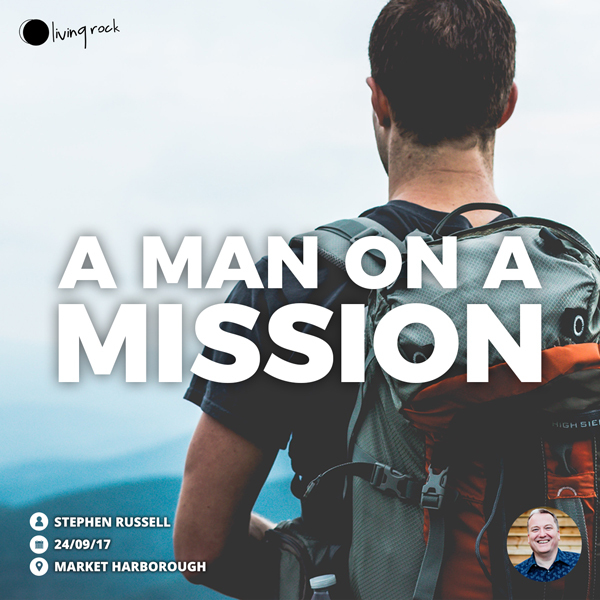 For many Christians, ‘stewardship’ is associated with finances and budgets, but in this message Stephen helps us to see that stewardship is so much more than this. 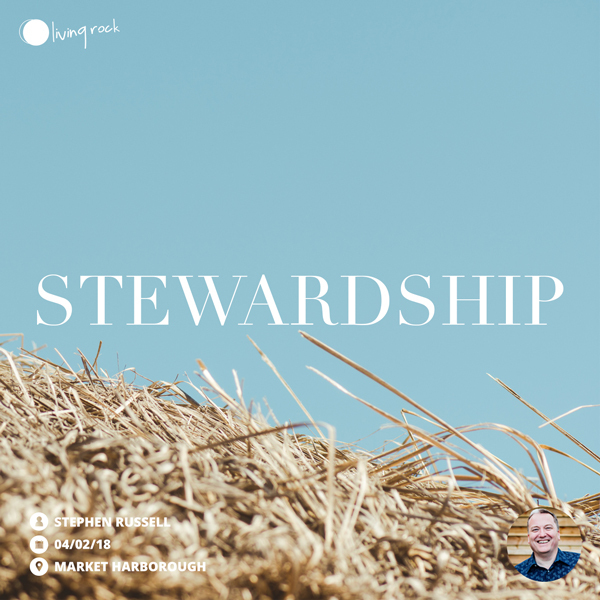 Stewardship includes our time, our gifting, our families and our own walk with God… stewardship is about our whole lives; it is about faithfully developing and using our gifts, talents and resources within the amount of time God has allotted to us. God wants to pour out His Spirit on you! God doesn’t just want to refresh us when times are tough or have been difficult, He wants us to be in a place of refreshing all the time! He wants us to be those that are a well spring of life to all those around us, as we “hasten” the day of His return. The well spring of the Spirit, the Holy Spirit is the key to a restored Kingdom – The Kingdom of God! God wants to restore back to the original intention! The restoration of Eden in our lives – the perfect relationship, man having dominion, multiplying and subduing the earth, and unbroken fellowship with God. A Church where healing and miracles are common place, where believers are all filled with the Holy Spirit in abundant measure and move in a divine purpose and anointing. A Church that is a haven of health, full of blessing, provision and joy! The Acts Church was a model – we are destined to go beyond Acts. We are writing Acts 29! We have and are having a glimpse of the age to come. He is preparing His Church, His bride, and The established Kingdom is coming! When God sent a great flood to the earth, He had a plan. Noah couldn’t see it physically, but he could “see” it with the eye of the spirit. We are building something wonderful and it’s important that we ‘see’ it. The good news is it is by His strength and not our own. 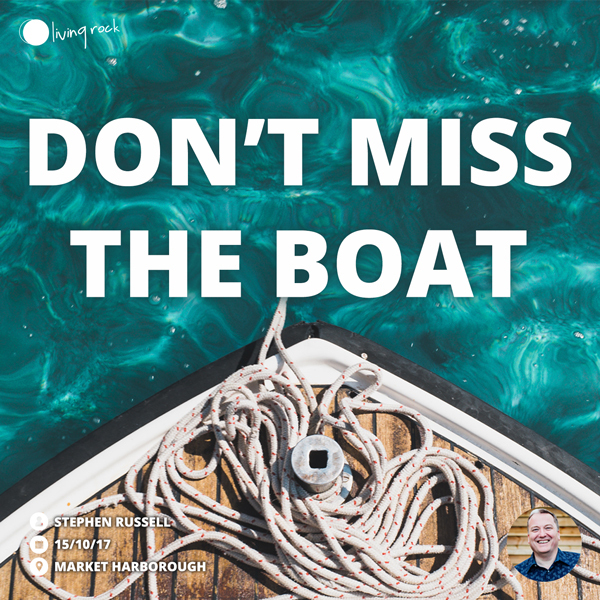 God doesn’t want you to miss the boat, in fact He doesn’t want anyone to miss the boat! We all need to be “on board” with Him; His presence, His people, His power! Are you on board? God is calling us to be those who are preparing the way in our lives- every day! 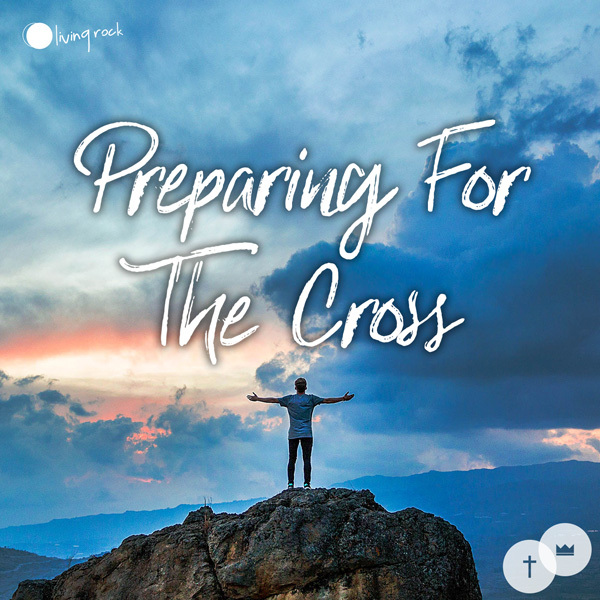 To allow us to more fully embrace the cross of Christ, we make sure that our priority is Him, His word and His people. As we do this, our valleys are filled in, our mountains flattened, and the twists and turns of our lives are straightened.